The people of Sierra Leone are mourning the death of their former president – Ahmed Tejan Kabba, with the national flag ordered by the government to fly at half-mast for the next seven days. Quite fitting for a former president whom, despite all his faults, many would agree had served his country well and with conviction. His death marks the end of another chapter in Sierra Leone’s painful history, as the country continues to stumble disjointedly towards finding its rightful place in the world, after a decade of civil war, which Tejan Kabba in no small measure helped to bring to an end in 2001. But after eleven controversial years in power as the first northerner to lead the Sierra Leone Peoples’ Party (SLPP), his government was rejected at the polls in 2007, in favour of a younger opposition leader – Ernest Bai Koroma who had promised to bring prosperity to the people of Sierra Leone through his ‘Agenda for Change’. 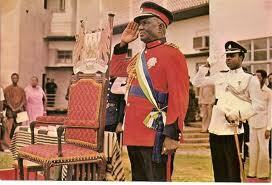 How will president Tejan Kabba be remembered? President Kabba came into party politics quite late on in life – in 1996, by default rather than by design – courtesy of the United Nations, who at the time was piloting its transformational leadership project in war-torn African countries. Tejan Kabba was no stranger to the country’s civil service, which he served since 1959 after studying Economics in Britain, until 1968 when he was controversially found guilty of misdemeanor by a Commission of Inquiry, established by president Siaka Stevens to investigate corruption in the ministry of trade and industry and other departments. Following the publication of the Commission’s report which recommended the confiscation of Tejan Kabba’s assets, and ruled that he should never again occupy public office in Sierra Leone, he returned to Britain once again to study Law. In 1970, he went to the USA to work for the United Nations, where he became a senior administrative officer with the United Nations Development Programme for over twenty years. The end of the cold war in the late 1980s and early 1990s worsened Africa’s post-colonial political instability, which created power vacuums and encouraged the rise of war lords and rebel movements in several countries; young military officers seizing power from despotic leaders, with the support of oil rich nations such as Libya. And after almost three decades of economic decline and abject poverty suffered by the people of Sierra Leone, presided over by the APC party which had in 1978 declared a ‘one party state’, the country was soon to be declared the second poorest nation in the world. By the end of the 1980s, the country had become bankrupt, and the APC government could no longer honour its constitutional as well as its international obligations. Sierra Leone was rapidly grinding to a halt. Civil society institutions had crumbled. Public sector institutions and infrastructures were barely functioning. Corruption, nepotism, breakdown of law and order, poor governance and the depleting of the country’s human resource capacity through emigration, brought a once proud nation to its knees. Sierra Leone became a donor case, dependent exclusively on foreign aid for its existence. The APC government had virtually lost control of the country and its moral authority to govern. The national debt, which the government was no longer honouring its repayment commitment, had risen to billions of dollars, whilst the country’s exports and value of the Leone became insignificant. As the fabric of the nation began to come apart at the seams, public servants no longer receiving their salaries, student protests became more vociferous, the bricks forming the foundation for a brutal civil war were being laid out. Not even the military was spared the APC government’s cruel spending cuts, as soldiers became uneasy and disgruntled over president Momoh’s decision – himself the head of the army, to curtail their monthly rice rations. Sierra Leone was no longer at peace with itself, and was now bearing all the hallmarks of a failed state – soon to witness a bloodbath. Twenty years of ‘one party state’ dominated almost entirely by the northern-tribal based APC party, created a society where inter-tribal harmony had given way to inter-tribal bigotry and discord. Sierra Leone was now a police state, under the joint leadership of Inspector General Bambay Kamara and the head of the army – Brigadier Joseph Momoh, both APC party grandees – belonging to the same northern tribe. In 1991, few in Sierra Leone believed that what started as mere skirmishes in the east of the country – near the border with Liberia, would degenerate into a full blown rebel war – led by a former non-commissioned soldier – Foday Sankoh, once imprisoned by the APC government of president Siaka Stevens in the early 1970s. The embattled APC government of Joseph Momoh struggled to contain what was fast becoming a massacre up in the provinces. Whilst corrupt ministers were busy helping themselves to the meager state coffers and living lavish lifestyles in the capital Freetown, soldiers sent to the war front were ill equipped and in disarray. In 1992, after several months of sustaining heavy casualties and discovering that their salaries were not being paid by the government – now bankrupt, the young leaders of the army led by Captain Valentine Strasser, decided to turn their tanks around and headed back to Freetown to confront the generals at State House. In what was described as a bloodless coup, the young soldiers seized State House and drove out the undemocratic, corrupt and tyrannical APC government from office. But the military coup did not bring an end to the civil war that had engulfed almost all of the provincial towns and cities, as some of the young power hungry soldiers went on the rampage – causing gross human rights abuses, as well as plundering the country’s central bank. The international community, especially the UN, was outraged by the behaviour of the soldiers and called for a return to democracy. There are many political analysts who believe that the return of senior African personnel working for the UN to West Africa, for instance – Tejan Kabba and Ellen Johnson Sirleaf, was no coincident. Their return is said to have been central to the UN’s response to the leadership crisis and political instability that had engulfed the continent, after the abrupt end of the cold war between the USA and the Soviet Union. Both Liberia and Sierra Leone were disintegrating fast, and the UN needed to restore order, but saw no credible home grown leadership on the ground across the political parties. In Sierra Leone, the Sierra Leone Peoples’ Party was in disarray after decades of being shut out by a one party state. The All Peoples Congress Party (APC) had shot itself in the foot. Tejan Kabba’s arrival in Freetown along with his fellow Sierra Leonean UN colleague – James Jonah, allegedly sponsored by the UN was very well timed, as demonstrations by civil society groups demanding the return to democratic rule was gaining pace. The military interregnum – now headed by Brigadier Julius Maada Bio started peace overtures with the rebels; made political concessions and established an Electoral Commission led by James Jonah, and a Transition to Democracy Committee chaired by Tejan Kabba. Both UN boys were hard at work, trying to rebuild some form of civil administration, but peace talks stalled as the rebels threatened to continue hostilities if elections were held. 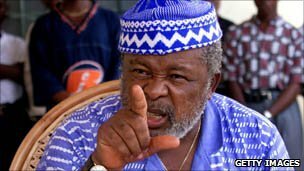 With James Jonah now effectively acting as the administration’s spokesman, it was clear he did not favour peace talks with Foday Sankoh, whom he described as a war criminal, whilst Tejan Kabba was less intransigent. In 1996 democratic elections were announced. It was obvious that the APC party stood no chance of winning back the hearts of the people it had broken, neither was the SLPP capable of putting a credible leader with whom the international community could do business. James Jonah – a southerner, though a much more experienced UN diplomat compared to Tejan Kabba, had no interest in leading the SLPP, which needed to put forward a northerner who could galvanise the nation as head of state. 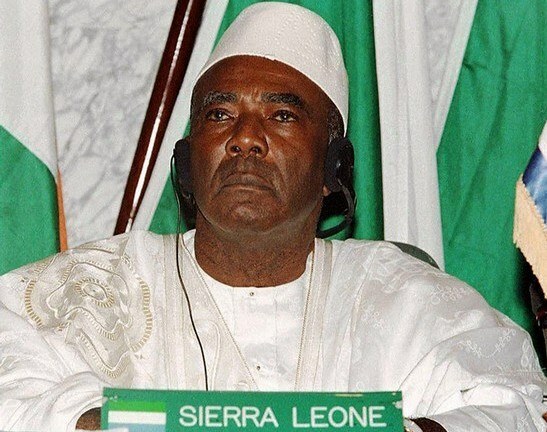 When the rank and file members of the SLPP voted for Tejan Kabba as the party’s flagbearer for the 1996 elections, they knew they had chosen a winner as Tejan Kabba went on to become the first post-war president of Sierra Leone. Tejan Kabba will be remembered in the annals of Sierra Leone’s history, as the leader upon whose shoulders the heaviest burden of state and society, has ever been placed. The war which lasted ten years, had taken the lives of over 200,000 people. Thousands of citizens were left amputated by rebels. Millions of people were left homeless, as thousands of properties were destroyed. Sierra Leone was bankrupt and declared a failed state. The scars of the war are all too evident in the streets of the capital Freetown, which is now overpopulated by those seeking refuge from the ravages of rebel brutality. The country’s infrastructure had been destroyed. Sierra Leone had ceased to function as a civilised society. The justice system and the country’s constitution had been sacked by the rebels. Tejan Kabba’s task was to weave the fabric of the nation once again, into a cohesive canvass upon which a new society – based on the principles of democratic governance, the rule of law, civil liberty, and equal opportunity for all, can be built. But he could not achieve this without first restoring peace across the country. 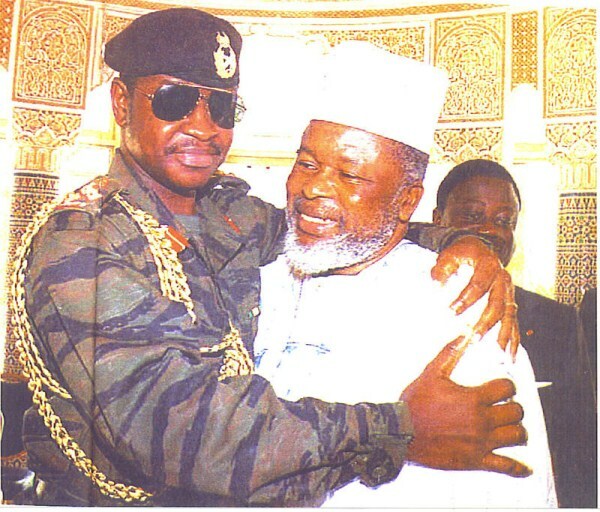 With the help of the UN and the international community he was able to sign the Lome Peace Accord with the rebel RUF, officially marking the end of the war in 2001. 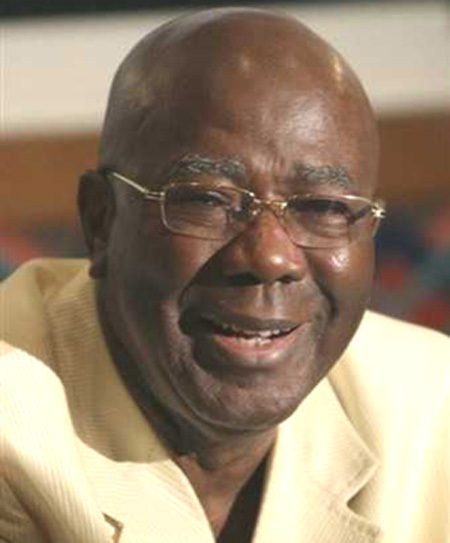 Tejan Kabba’s government did not set out to grow the economy, despite critics unfairly comparing his term of office to that of president Koroma. And he would have been very foolish to pretend that this was his post-war objective. His legacy will be remembered in terms of the several new public institutions he created, such as the Anti-Corruption Commission, the National Social Security Agency, and dozens of others. He established scores of new legislations which are today being built upon by the Koroma government, as the demands shift from peacebuilding to nation building. Yet it will be remembered that despite the country having been brought down to its knees, Sierra Leone enjoyed an average annual GDP growth rate of 4.5% between 2001 and 2007, attracting hundreds of millions of dollars in foreign investments. Investment in education – especially the girl child, and health care, became a priority for his government. The 2006 report on the nation’s health care needs produced by the international community in Freetown, suggests that the concept of free health care now being delivered by president Koroma was discussed by president Kabba. Tejan Kabba negotiated hundreds of millions of dollars in terms of loans with the Islamic Bank for Development, the African Development Bank and others, for infrastructure development, which his government was unable to commence before the 2007 elections. President Koroma’s government is now the beneficiary of those hard won financing negotiations, won by president Tejan Kabba before leaving office. Was president Kabba party to his government’s defeat at the 2007 elections? Would the results of the 2007 elections have been any different, had he strongly campaigned for the SLPP? These are question that pundits will continue to debate. But what is clear is that by 2007, the vast majority of people in Sierra Leone – including the international community, were ready for regime change at the polls. Was the 2007 elections rigged in favour of Koroma’s APC, as alleged by the SLPP? Was the annulment of thousands of SLPP ballots by the electoral commission legal? These questions are all academic now. But as the legacy of Tejan Kabba is etched into the memories of the people of Sierra Leone, it is hoped that a lasting memorial can now be built in recognition of the hundreds of thousands who died in the war, as well as those who today cannot make use of their limbs. This, will be a fitting memorial for Sierra Leone’s departed elder statesman – Dr. Ahmed Tejan Kabba, for whom the country’s flag is today flying at half mast.